Recently I was sharing with someone the purpose of Café Barnabas and why we exist. I described that through tea, we build relationships with not only the youth but really everyone in Topeka. Whether they are tea drinkers or just like coming and grabbing a quick sample. We don’t exist to just be a “tea shop”. They then asked me what this place (the café) or even tea mean to me? What tea means to me? Plainly put, tea by definition means, “A hot drink made by infusing the dried, crushed leaves of the tea plant (camellia sinensis) in boiling water. I would describe a good cup of tea like a good book. As the taste and flavor profile can take you back to a fond childhood memory (like how the smell of our Dark Rose tea reminds me of my grandmas house). Or it can take you on a journey, making you think of the places the tea leaves have traveled and how the flavors change as you sip through your cup. When I think of a hot cup of tea I think of patience. One cannot chug a cup of hot tea without some regret. It must be taken like a good hug. 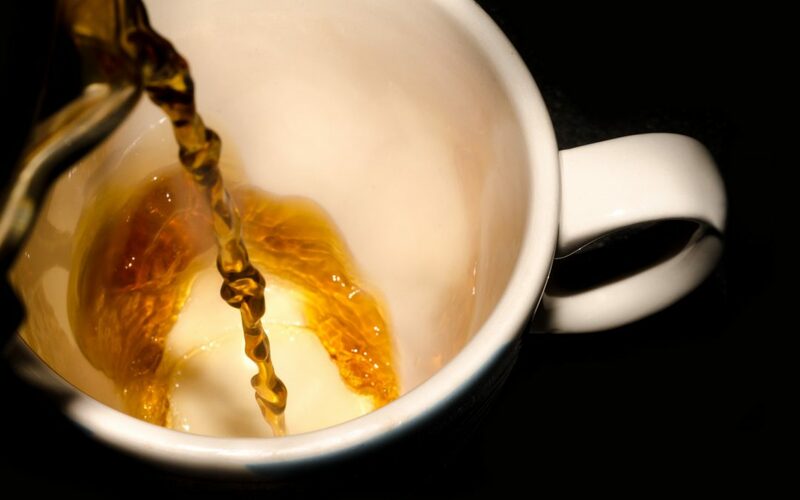 Enjoyed slowly, embracing every sip, letting the tea warm you up and the aroma calm you. When I think of having a cup of tea, I think of community. I remember the long days we worked at the farmers market. Rain or shine, in the cold snow or sitting under the hot summer sun, our café team had a smile on our faces and more appreciation for what a warm cup of tea or the cooling taste our bubble tea had to offer. I have so much more to share! Tune in for the second half!! Barnabas is a registered 501 c 3 organization. All donations are tax deductible.